Pregnancy comes with many changes and emotions, and as such it’s important to pay attention to the quality of your sleep to feel well-rested for you and the future addition to your family. Your growing body may wreak havoc on your sleep, but by finding the best pregnancy pillow for your body, you can rest much more comfortably and leave all worries about lack of sleep for after the baby is born. To maximize the chances of a good night’s sleep, you need a pregnancy pillow that supports you in the right places. The best pregnancy pillows on the market are designed to offer you extra support for the back and hips, and they come in various sizes to suit your sleeping style. Moreover, pregnancy pillows come in various sizes, with many of them being shaped in a way that offers you a choice of different sleeping positions. Because there are so many things to consider when shopping for a pregnancy pillow, we took it upon us to select the best models on the market, test them, and read hundreds of reviews from women who tested them. We then came up with a selection of best eight pregnancy pillows, and you can see the results in the comparison table below. You can also read our in-depth reviews for all of the pillows in the table and get more information about how to find the best pregnancy pillow for you in the buying guide at the end. Now let’s look at the eight pregnancy pillows that made it to the top. 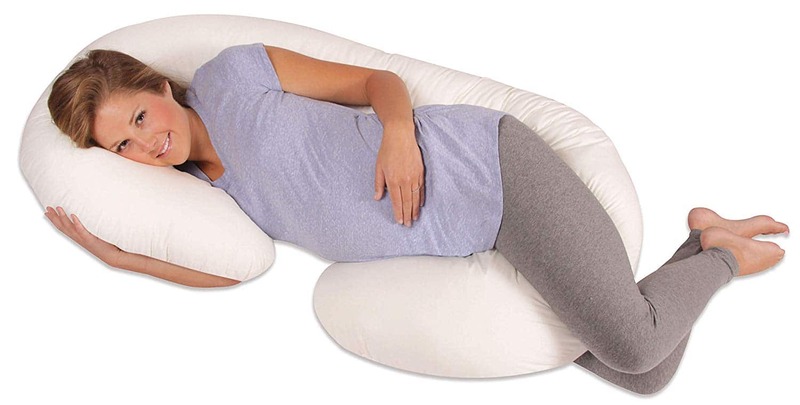 Our editor’s choice is the Onory Full Body Pregnancy Pillow, which can make an excellent addition to your bed while you’re pregnant and beyond. The unique design of this pillow has excellent reviews from most of the mothers who tested it. Women mostly liked that the pillow is an oversized U-shape, which means that you have enough space to stretch while getting excellent support from both sides of your body. 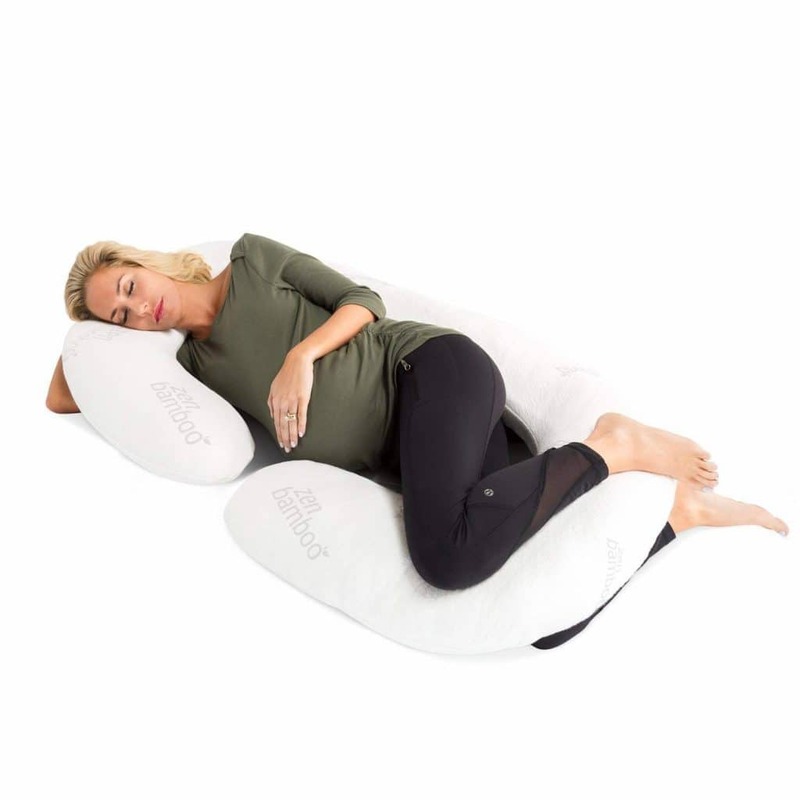 According to our research and feedback from many users, this is one of the best pregnancy pillows for expecting mothers who suffer from sciatica, back pain, fibromyalgia, poor posture or those who are recovering from an injury. 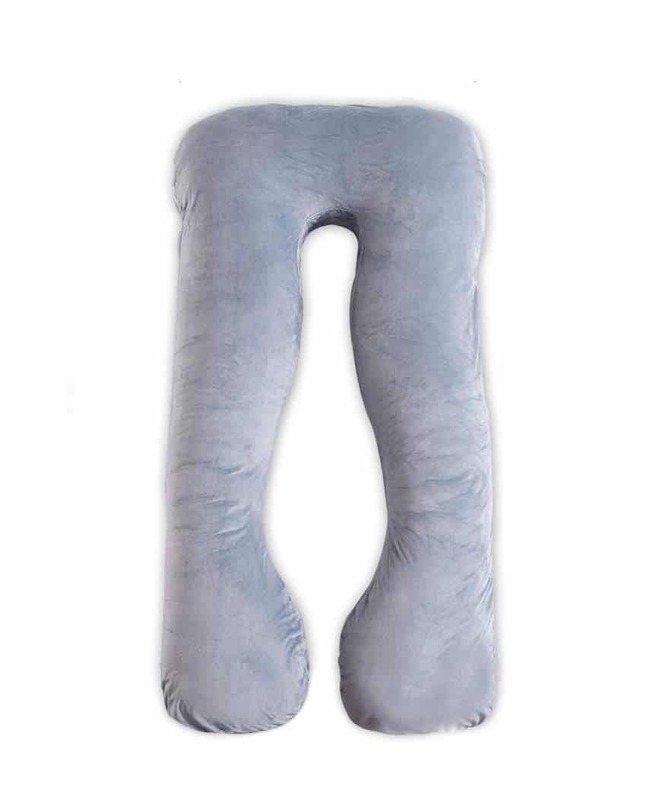 The Onory Full Body Pregnancy Pillow is not only great for quality night sleep, but it also offers great support for reading, relaxing, or watching TV. And when the baby comes, the pillow will continue to serve you well because it can act as a nursing pillow, to keep you elevated and the baby supported at the same time. 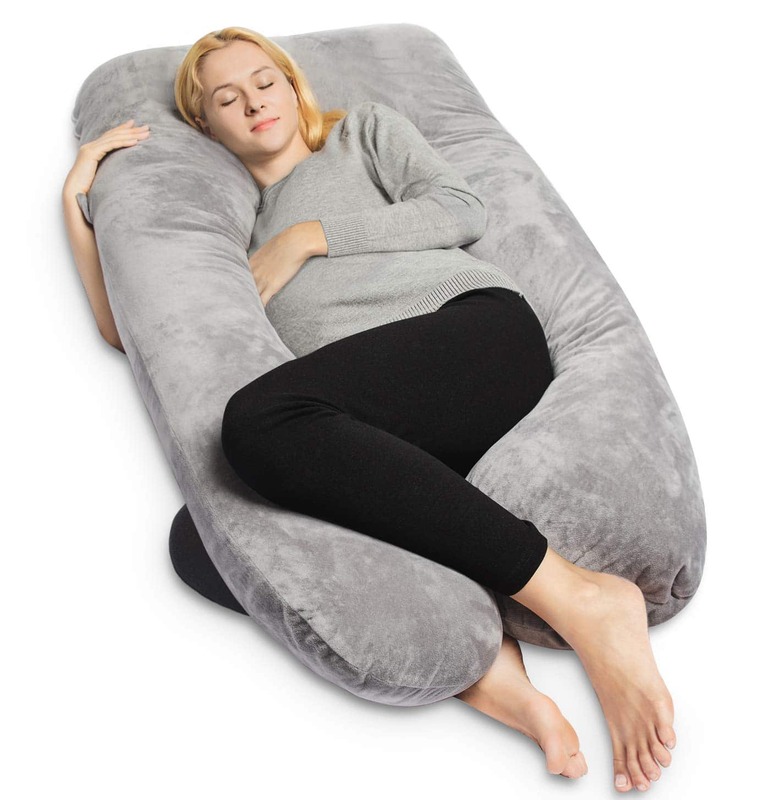 Many users liked that this pillow comes with a detachable extension that you can use as a separate body pillow. 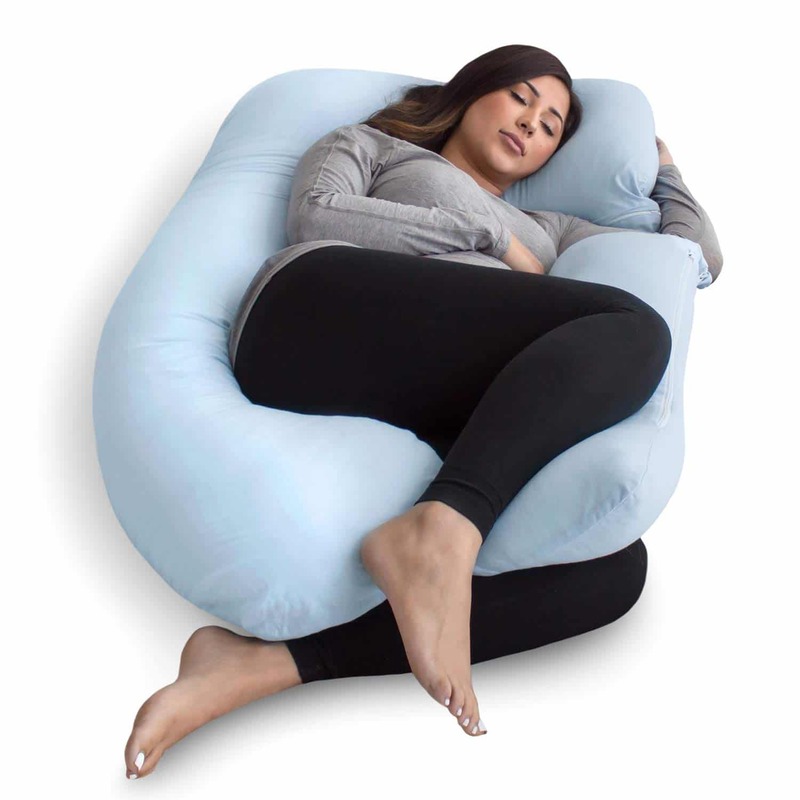 The filling inside is extra soft and most of the users testing the pillow noticed that it retains fluffiness even after months of use. The velvet and polyester pillow cover is machine washable and hypoallergenic, making this a good pillow for those who suffer from allergies. Suitable for both pregnant and nursing women, the Dreamland Bedding Full Body Pregnancy Pillow impressed us with the super soft outer cover that is made from comfortable jersey and is machine washable. The ergonomic design of this U-shaped pillow makes it easy to follow the shape of your body and your natural contours to offer you full support throughout your pregnancy. 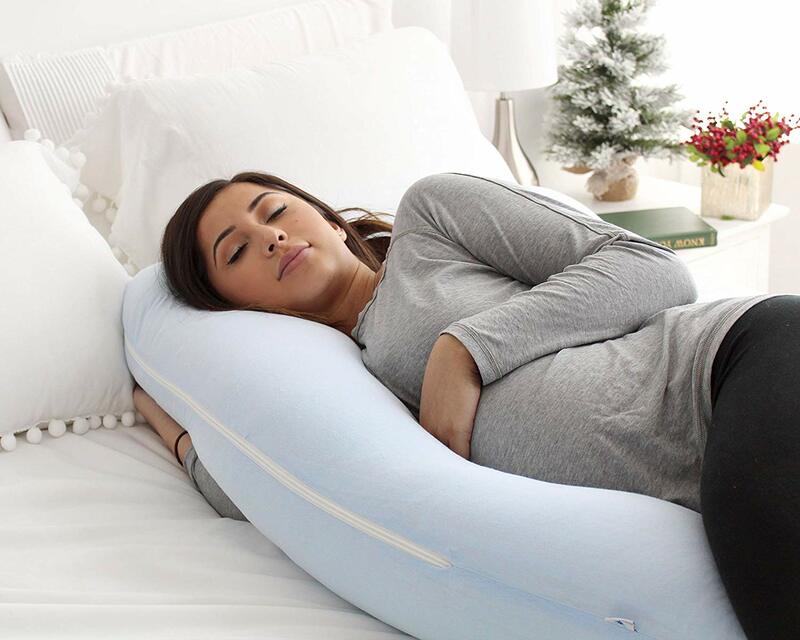 Because it offers full body support, this pillow can offer you release from a variety of ailments that often come with a pregnancy. For example, because it supports your back, hips, head, and knees this pillow can lower back pain, prevent and relieve sciatica, as well as heartburn to ease you into better sleep. 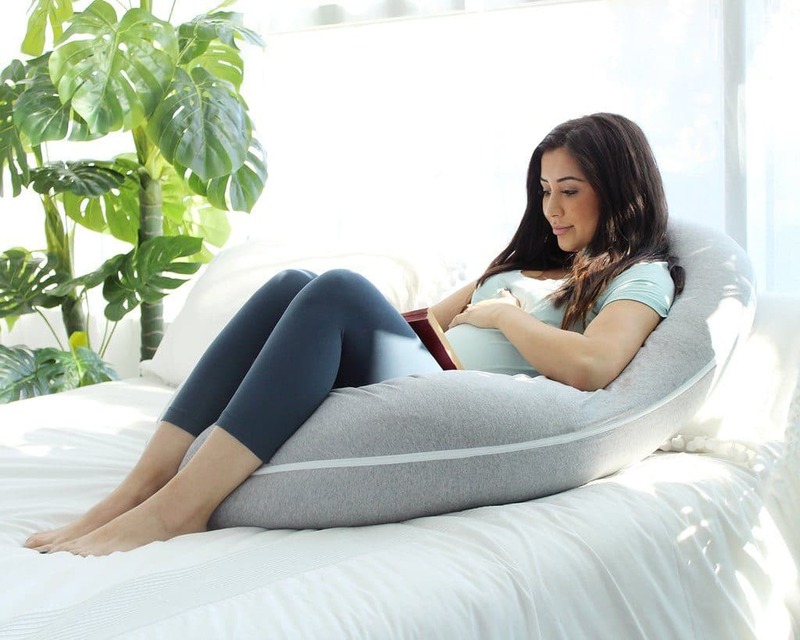 Many of the expectant mothers who tested this pillow found it very convenient that they could get multiple positions for reading, sleeping, watching TV, nursing, breastfeeding, and more. 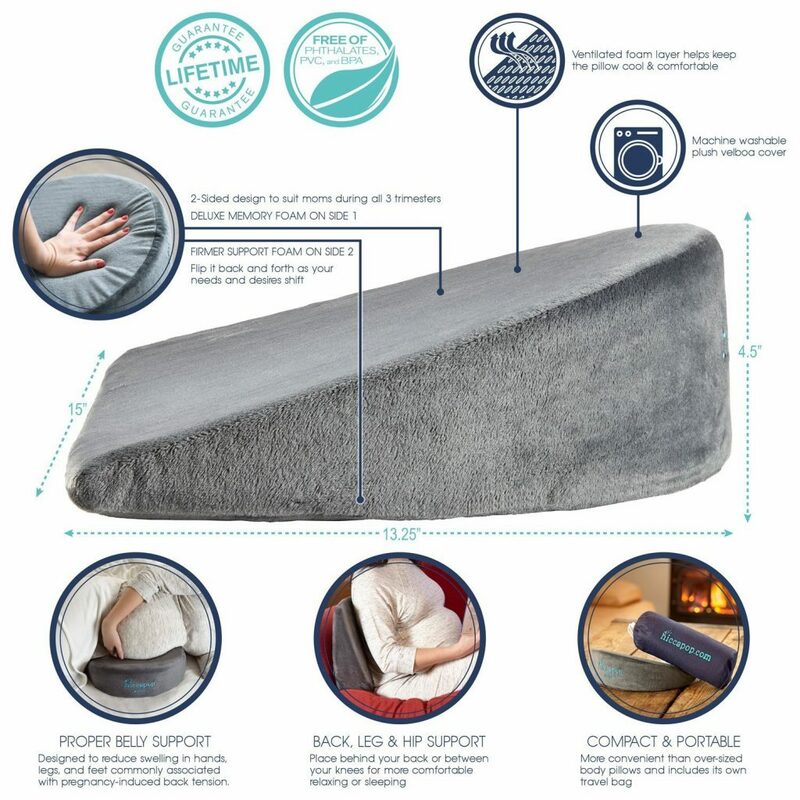 Because it features 360° Total Body Support, this pillow is not only suitable for pregnant women, but also for other family members who may want a solution to their low back pain or sciatica problems. The Dreamland Bedding Full Body Pregnancy Pillow has a 100% polyester inner cover and the filling is made from 100% polyester hollow fiber for increased comfort. Users often mentioned that the pillow retains its shape even with heavy use and that it feels very firm and full as you use it. 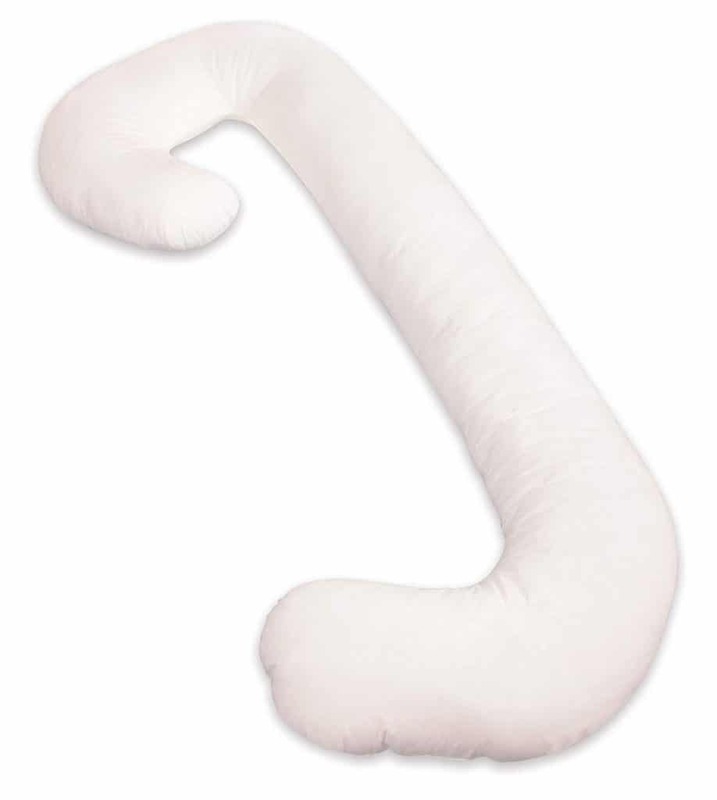 The PharMeDoc C-Shaped Pregnancy Pillow is an orthopaedic C-shaped pillow that works well for all stages of pregnancy. Besides offering you all the support you may need for your growing belly, this yellow also helps with back, neck, and hip pain. For this reason, it is also an excellent choice for anyone who is looking for improving their posture and cervical alignment at night. 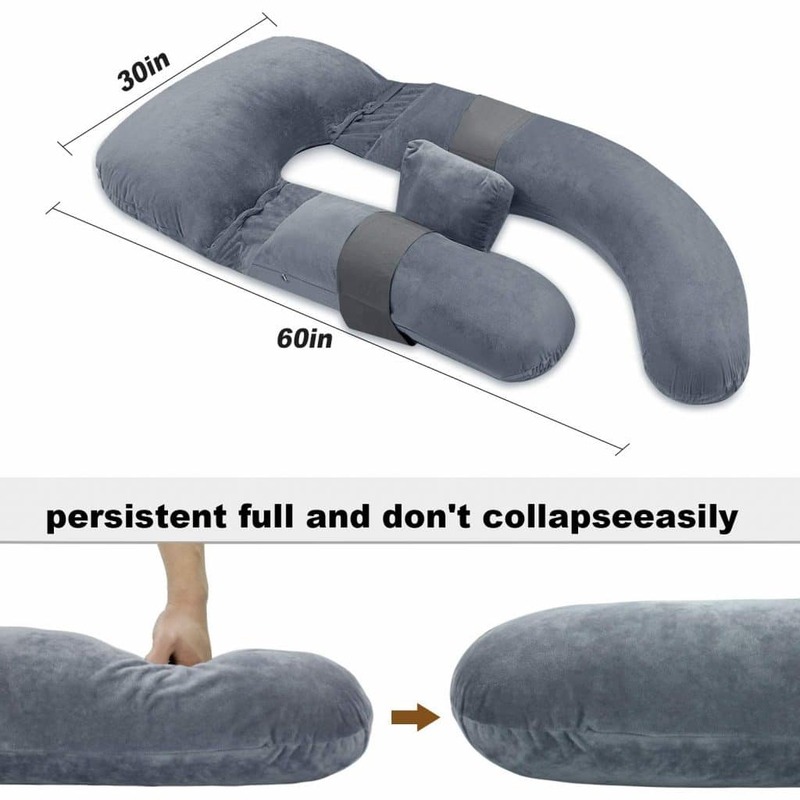 According to the manufacturer, the pillow is also suitable for those who are recovering from surgery or an injury. 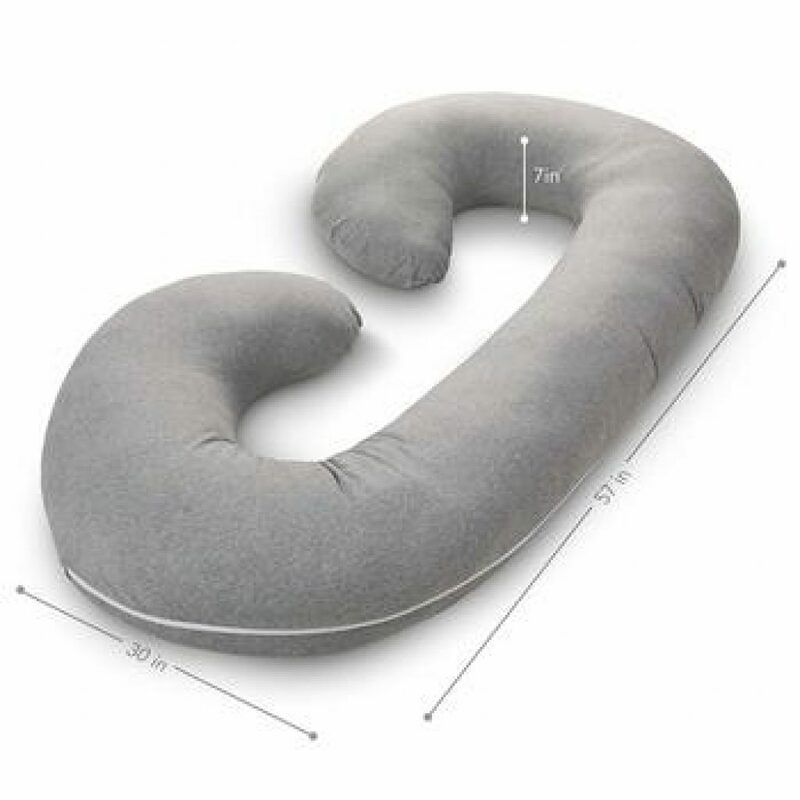 Because of its unique shape, the PharMeDoc C-Shaped Pregnancy Pillow is highly versatile, but according to instructions provided by the manufacturer, you can get the most of its design if you are a side sleeper. The reasoning behind creating a pillow that allows you to get in a comfortable position for side sleeping is because this is the healthiest and most comfortable position for you and the baby doing all stages of pregnancy. Users raved about how stomach sleepers can also take advantage of the long style of the pillow, and at the C-shaped design is very easy to manipulate into other forms that allow you to relax while reading a book or watching TV. The pillow has a medium feel and some users mentioned that it feels slightly softer than other pregnancy pillows. The filling is a naturally hypoallergenic polyester fibre filling that allows for breathability and support the same time. One of the few pregnancy pillows on the market that is available in multiple sizes, the Queen Rose Full Body Pregnancy Pillow provides a full body support for the expectant mother as well as for anyone who suffers from sciatica, back pain, hip pain or for those who are recovering from an injury or surgery. According to many users, this pillow is very easy to band, wrap, fold, or adjust in any way you can think of for a highly personalized experience. 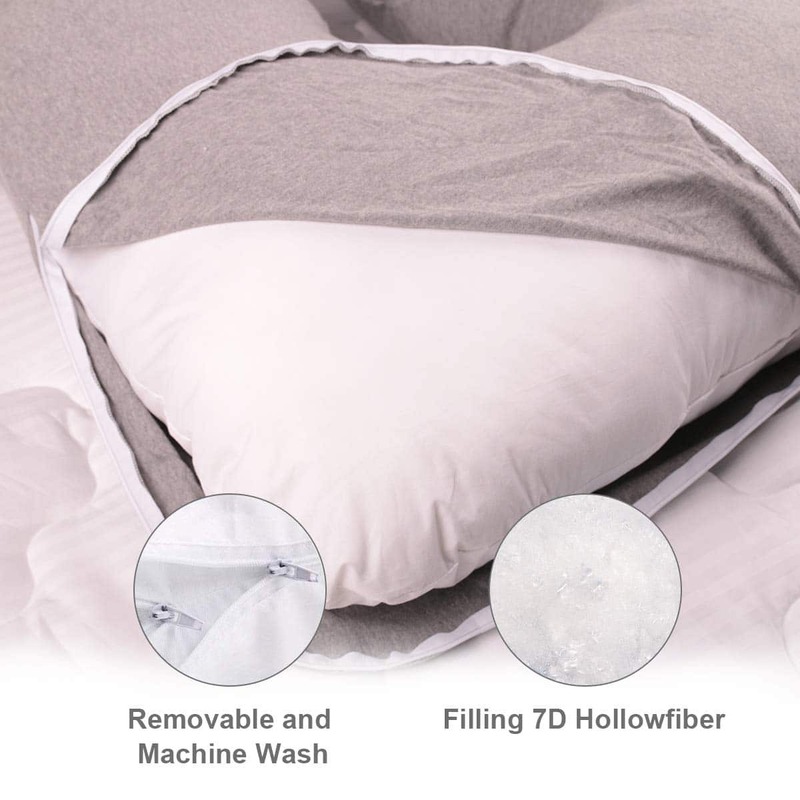 What we liked about this pillow is that you can easily adjusted to fit your own personal needs by readjusting or removing part of the filling. This means that the pillow is bound to have many uses in your household, even after the baby is born. 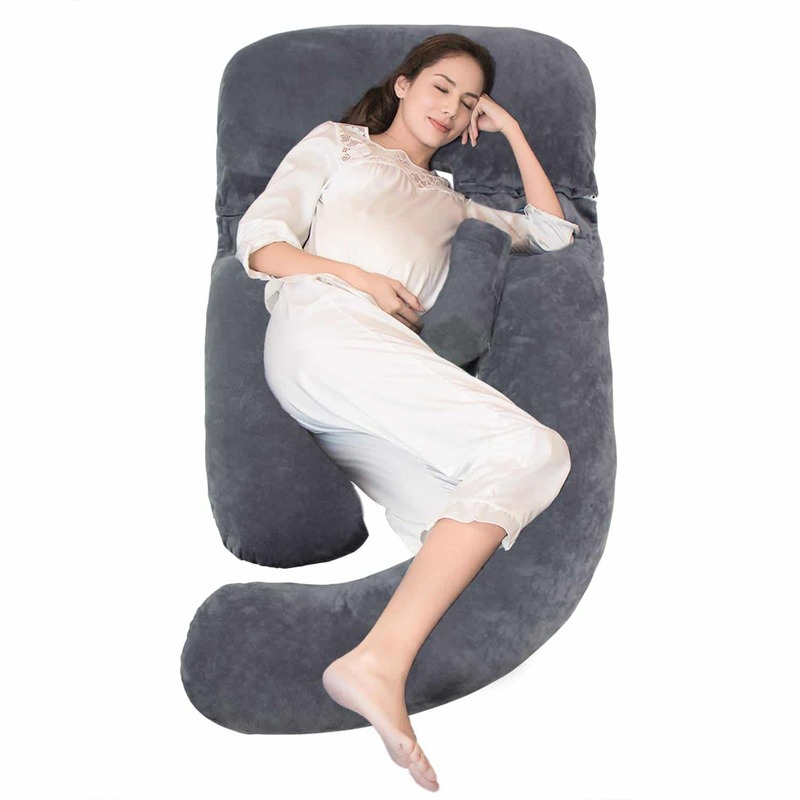 The U-shaped pillow is very comfortable, but some users mentioned that it can be a bit difficult to get in and out of it. The glow is filled with a naturally hypoallergenic polyester fibre filling that provides you with a firm yet plush surface for your sleeping. The filling offers a good degree of breathability, so you won’t find yourself getting very hot at night. The adjustable loft makes the Queen Rose Full Body Pregnancy Pillow one of the few pregnancy pillows on the market that can be adjusted in a way that can meet the needs of every body shape and size. 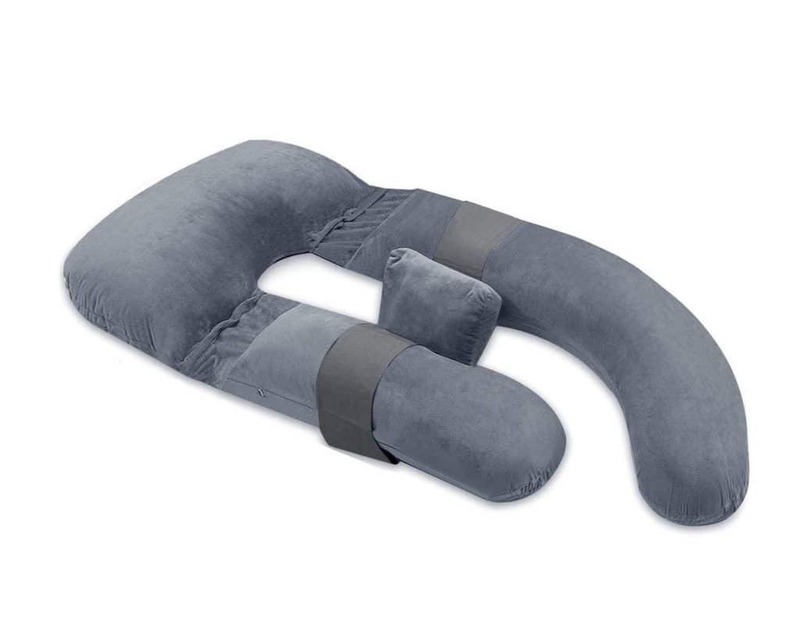 If you are looking for a pregnancy pillow that comes with a detachable extension you can also use as a full body pillow, the PharMeDoc U-Shape Pregnancy Pillow is one of the best choices currently available on the market. This U-shaped pillow offers great support for your back, knees, neck, hips, and head to alleviate discomfort caused not only by pregnancy but also by fibromyalgia, sciatica, gastric reflux and more. 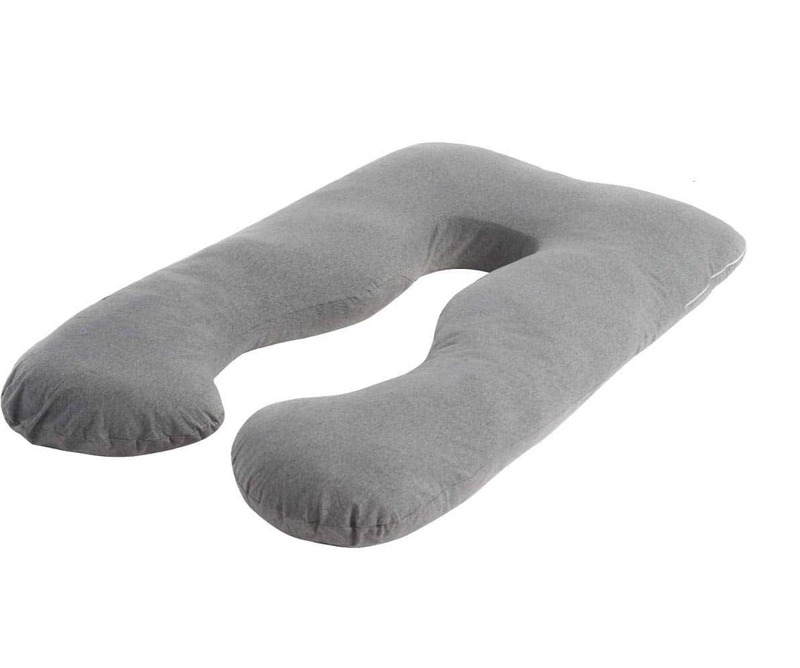 The divisional extension of this pillow makes it easy to use it as the full body pillow or attach it to the main pillow for extra support. The body cover of the pillow is easily removed thanks to the existence of a zipper and is machine washable for extra easy care. The cover is made for 100% jersey knit cotton that feels very soft to the touch and, according to many users, it is also highly durable and remains comfortable and soft even after many washes. Inside, the PharMeDoc U-Shape Pregnancy Pillow is filled with a polyfill blend that provides comfort no matter in which position you decide to use the pillow. 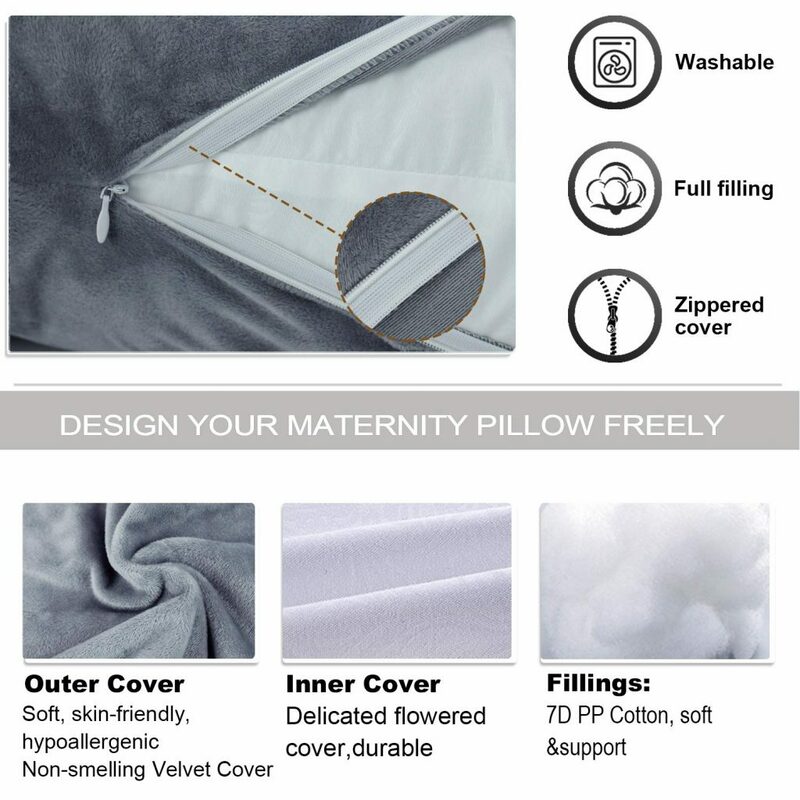 Finally, this pillow is highly durable and has double stitched seams to avoid a problem that is encountered with many budget pregnancy pillows, and that is ripping at the seams. Because the pillow is double stitched all the way around, you can expect it to last for many years. 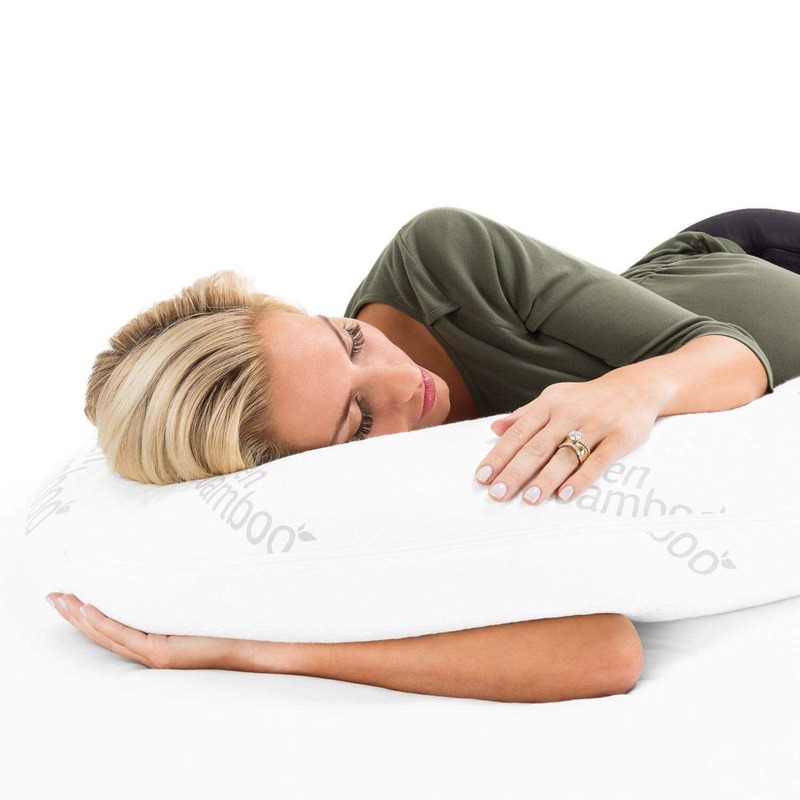 Manufactured by one of the most popular brand names in the mother and baby industry, the Leachco Snoogle Pregnancy Total Body Pillow is one of the best choices out there for those who are looking for back and neck support throughout pregnancy. According to a multitude of users, this pillow supports the back and hips very well to provide you with an excellent night’s sleep. The pillow also offers great support for women used to be stomach sleepers and had to change their sleeping position to accommodate their pregnancy. Because this pillow is highly flexible, you can use it in a multitude of ways not only when you’re sleeping, but also when you are lounging, relaxing, reading or watching TV. 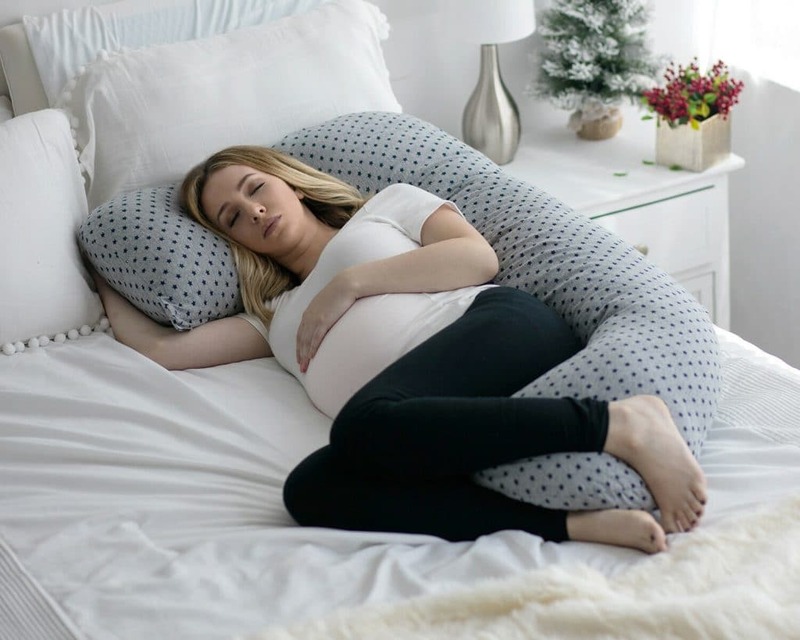 Thanks to the large number of positions you can put this pillow in, you can choose to elevate either your upper or lower body to relieve swelling, stiffness, and indigestion and heartburn that you might expect to feel in the last month of pregnancy. The filling of the pillow is naturally hypoallergenic, and it shapes according to the contours of your body, for a highly personalized experience. many users mentioned that the pillow feels rather dense but that it offers a great level of support for the back and neck. The cover of the Leachco Snoogle Pregnancy Total Body Pillow is machine washable, but only spot cleaning is recommended for the pillow itself. One of the few pregnancy pillows on the market to feature a cover made from a mix of bamboo-derived rayon and brushed microfiber, the Zen Bamboo Full Body Pregnancy Pillow has a unique shape that offers full body support by following the natural curves of your body. As such, you get relief for your head and back, while also minimizing heartburn or sciatica associated with pregnancy. Users liked that this pillow is firm and that the cover feels soft to touch while being machine washable at the same time. The cover is easy to care for because it is machine washable, and many users mentioned that it retains its softness even after multiple washes. Unlike many other pillow covers, this one is also safe to tumble dry. 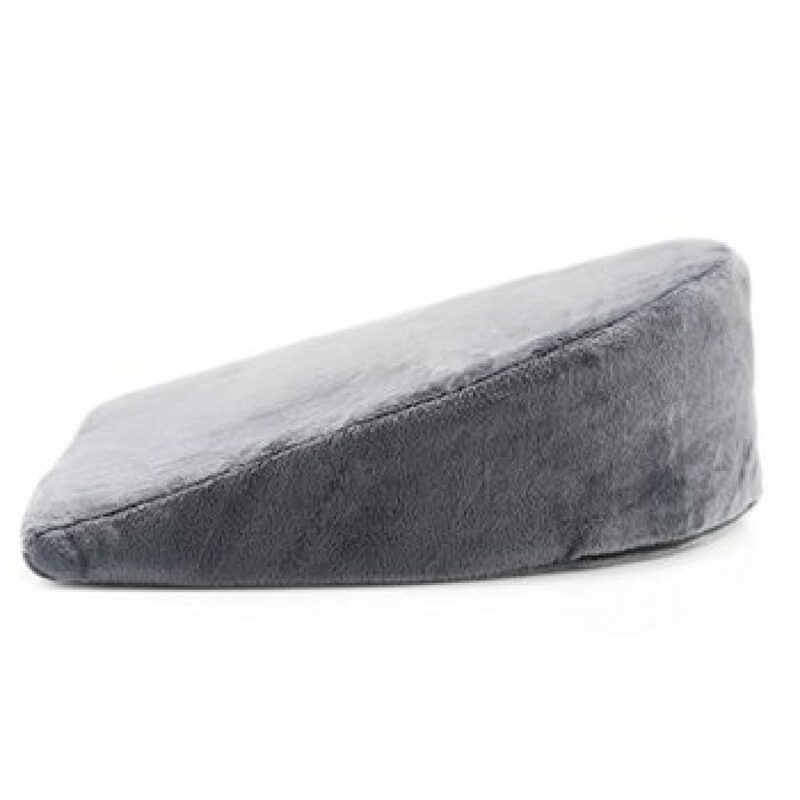 According to reviews, this pillow is suitable for those who are up to 5 ft 8” tall, but it works perfectly for shorter individuals. 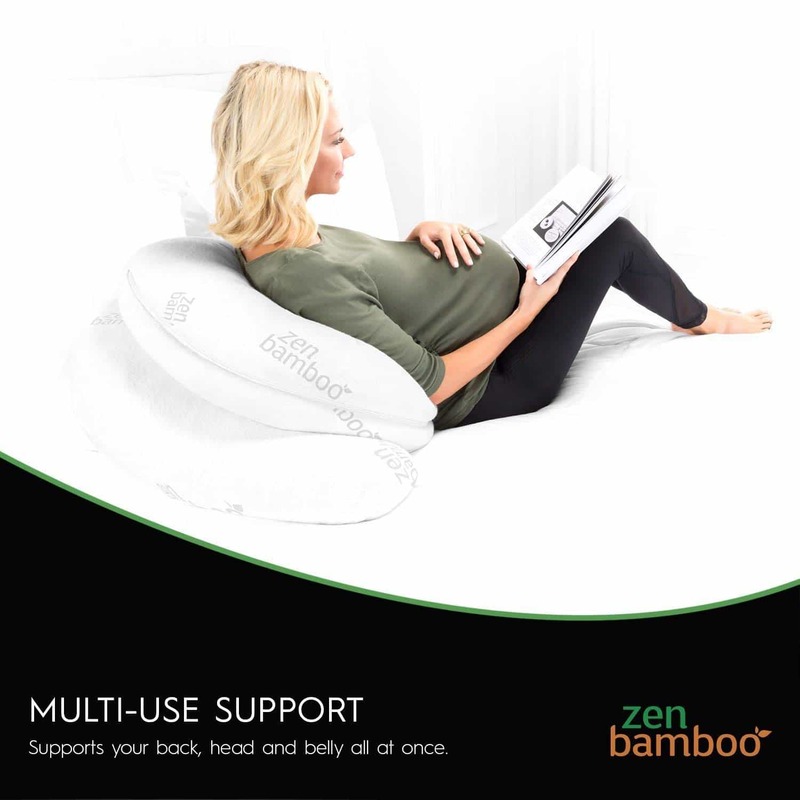 The Zen Bamboo Full Body Pregnancy Pillow can save you a lot of space in bed, if you have previously used to sleep with multiple pillows to offer you support for various parts of the body. Reviewers mentioned that the size of the pillow makes it a good option for those who sleep with a partner, as it does not take a lot of space in bed. 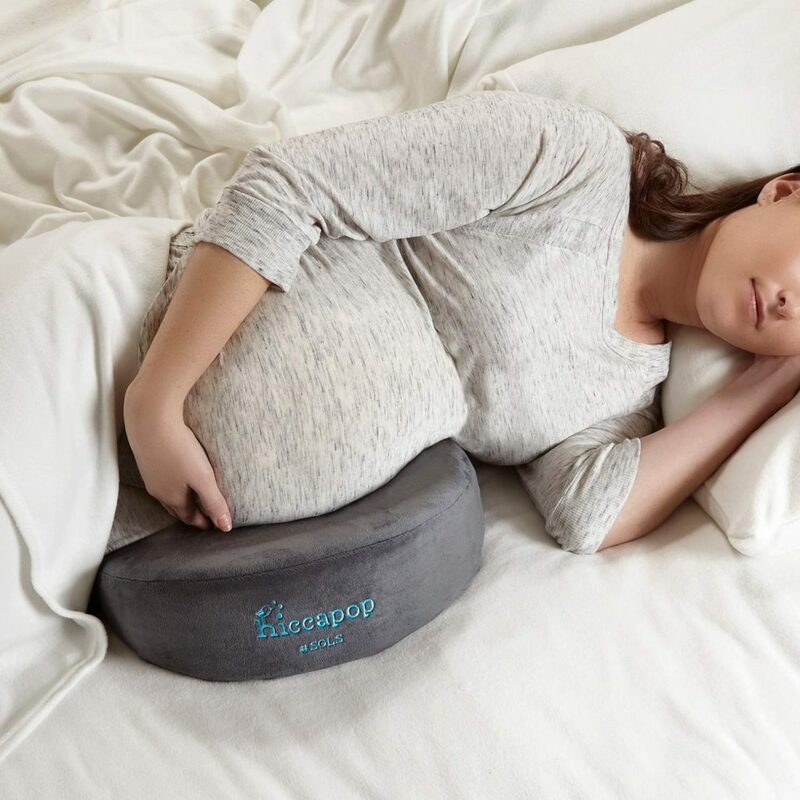 For those who are not looking for a full body pillow, but for one that can offer them targeted support for various areas of the body instead, this hiccapop model is the best pregnancy wedge pillow out there. Featuring a design that proves to be immensely helpful for mothers-to-be, this pillow has a classic rounded wedge shape and dual-sided firmness. With this pillow, you get a memory foam side and a firmer foam on the other side. Users liked that the hiccapop Pregnancy Pillow Wedge comes with a travel case so you can easily take it with you wherever you go. When it comes to using the pillow, you have multiple options to choose from, ranging from putting it behind you when you sit to simply wedging it under your belly for extra support in the last months of pregnancy. The ventilated foam layer keeps the pillow cool and comfortable all night long, while the plush cover is machine washable for extra easy care. 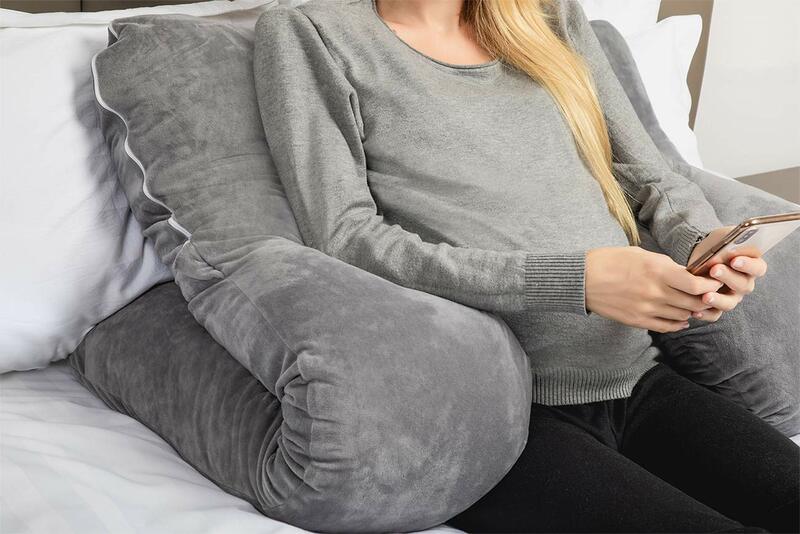 The pillow has received a lot of praise from users due to the fact that it is compact and portable, which makes it stand apart from other types of pregnancy pillows. Moreover, the dual-sided nature of the hiccapop Pregnancy Pillow Wedge makes it highly customizable to your own needs. Sleeping with a bump can be rather difficult, but the good news is that a high-quality supportive pregnancy pillow makes all the difference, so you wake up well-rested in the morning. Pregnancy pillows are comfortable, often large, sleeping aids that can help you get a good night sleep while supporting not only your bump, but your back, neck, and hips as well. This type of pillow can be a lifesaver if you have difficulty or pain when sleeping. As many women know, pregnancy may come with bouts of insomnia, constant toilet trips, and feeling very hot at night. This is enough to renew your sleep, but with a pregnancy pillow you can alleviate all of these symptoms and rest well throughout the pregnancy. Because not all bodies are created the same, it is important to get a comfortable and high-quality pregnancy pillow so you can find a position that works well for your body size and shape. 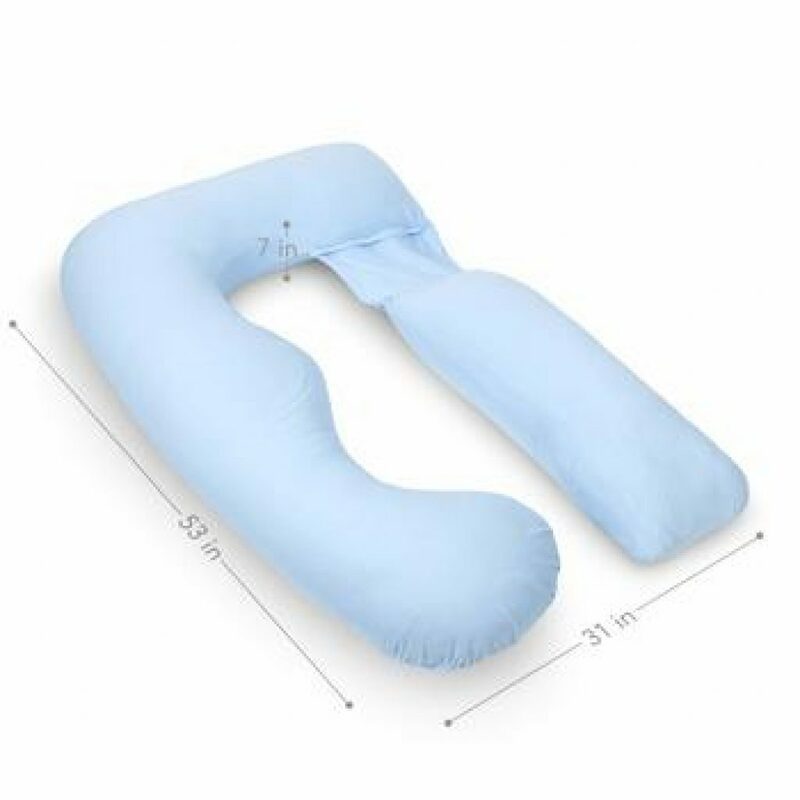 A quality pregnancy pillow is versatile and highly adjustable so that you can easily find a sleeping or resting position that makes you feel as comfortable as possible. The quality of the materials is also very important, because you may want to wash the cover regularly and still retain the same softness as the day you bought the pillow. Shopping for a pregnancy pillow may be a difficult endeavor especially if it is your first time buying one. Some of the most important things to consider in a pregnancy pillow include the shape and dimensions of the pillow, as well as the type of filling material and adjustability. You also need to pay attention to the cover and whether it is machine washable, while also keeping in mind whether you want a hypoallergenic pillow or any extra features such as a detachable extension. 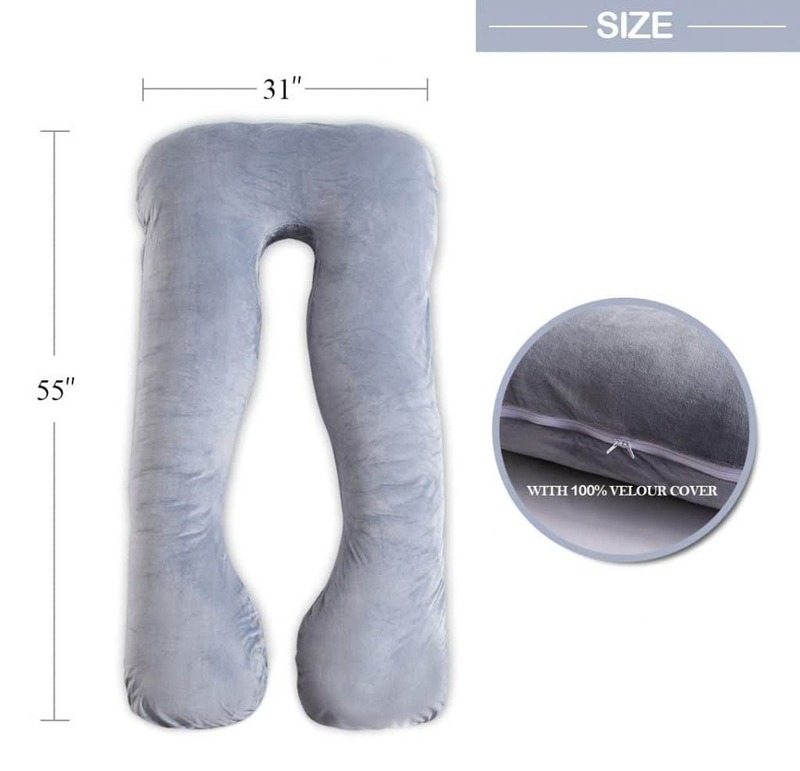 The main pillow shapes on the market include U-shaped and C-shaped pregnancy pillows, but you can also find other styles such as wedge pregnancy pillows, for example. U-shaped pregnancy pillows are the best choice for back sleepers, mostly because they are able to wrap your entire body and offer you a good level of comfort no matter the position you end up while sleeping. If you are a side sleeper, a C-shaped pregnancy pillow works very well for you, while wedge pregnancy pillows, such as the hiccapop pillow wedge reviewed above, can provide you with targeted comfort for a specific part of your body. Some pregnancy pillows are available in multiple dimensions whereas others come in only one size. When deciding which dimensions your pregnancy pillow should have, you should first consider how much space you have available in your bed, especially if you are sleeping with a partner. You should also consider your height, because not all pregnancy pillows are suitable for tall women, for example. Most pregnancy pillows have a hypoallergenic polyester filling material that gives the pillow its firmness and support. 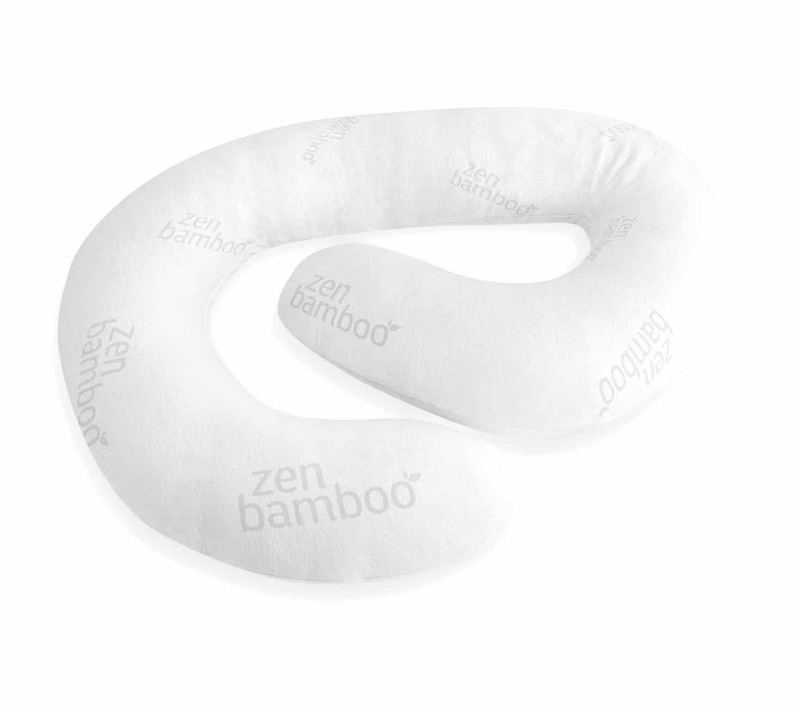 This is the most common material used in pregnancy pillows because it offers a pliable, soft experience. Other materials may include memory foam and microbeads. Some models, such as the Queen Rose Full Body Pregnancy Pillow allow you to adjust the filling by removing or adding more stuffing. This can help you get a personalized firmness for your pillow that suits your body perfectly. Many of the pregnancy pillows on the market have a cotton or polyester cover that is generally removable and machine washable. A cover made from cotton is a good choice if you’re looking for a soft and breathable fabric that is made from all-natural fibers and that works great if your pregnancy makes you run hot at night. On the other hand, polyester is a durable material that comes in a wide variety of textures and is often easier to take care of. If you suffer from allergies, it’s important to look for a hypoallergenic pregnancy pillow that has a cover and filling made from hypoallergenic materials that will not trigger your allergies – one example is our Editor’s Choice, the Onory Full Body Pillow. The weight of a pregnancy pillow is important especially for those who like to feel a pillow heavier than a regular one. As a rule of thumb, a larger and firmer pregnancy pillow is bound to weigh more than one that is more on the plush side. 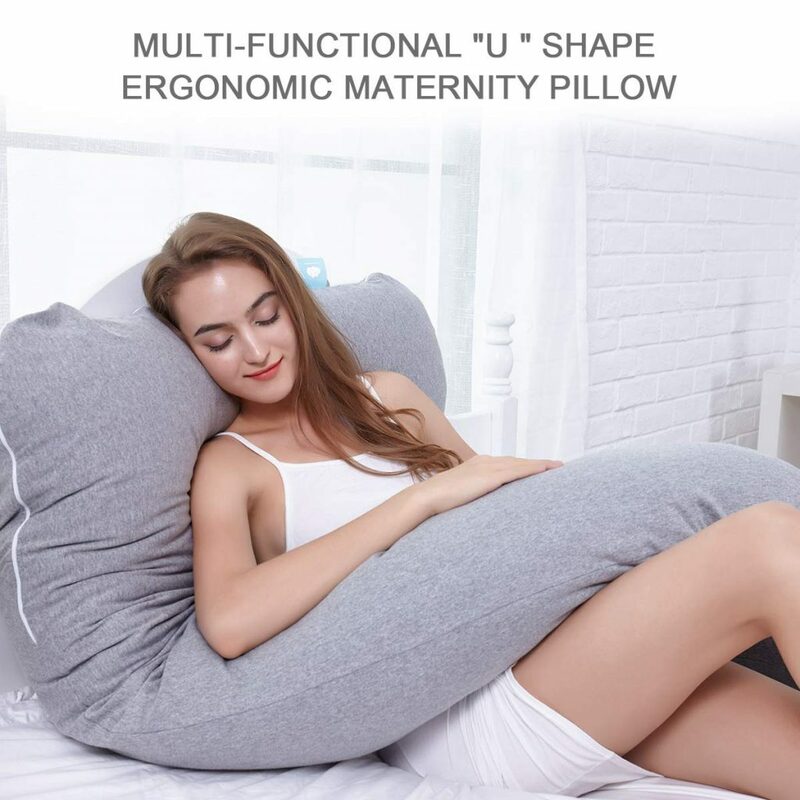 Some extra features to consider when shopping for the best pregnancy pillow include whether the pillow is contoured to take the shape of your body and whether one or more parts of it can be detached for increased versatility. 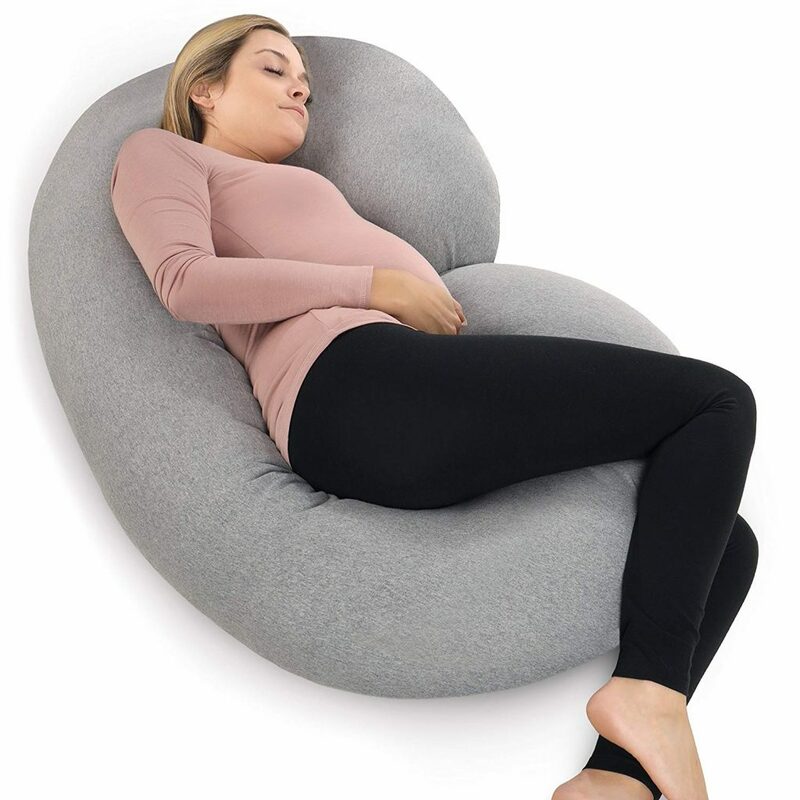 Many women prefer a pregnancy pillow to be flexible, which means that you can shape it in multiple ways to keep you comfortable not only when you sleep, but also when you’re sitting and relaxing. The way you use a pregnancy pillow largely depends on its type.for example, full-bodied pregnancy pillows such as U-shaped or C-shaped are more versatile than wedge pillows, providing support for your entire body. However, if you want a pillow that can target specific areas of pain, a wedge pillow could be the answer. Besides using this type of yellow during your pregnancy, you may also find that it has other uses, such as for nursing when the baby arrives or simply for you or other family members suffer from back pain or sciatica, or who are recovering from an injury or surgery. In what trimester can I start using a pregnancy pillow? 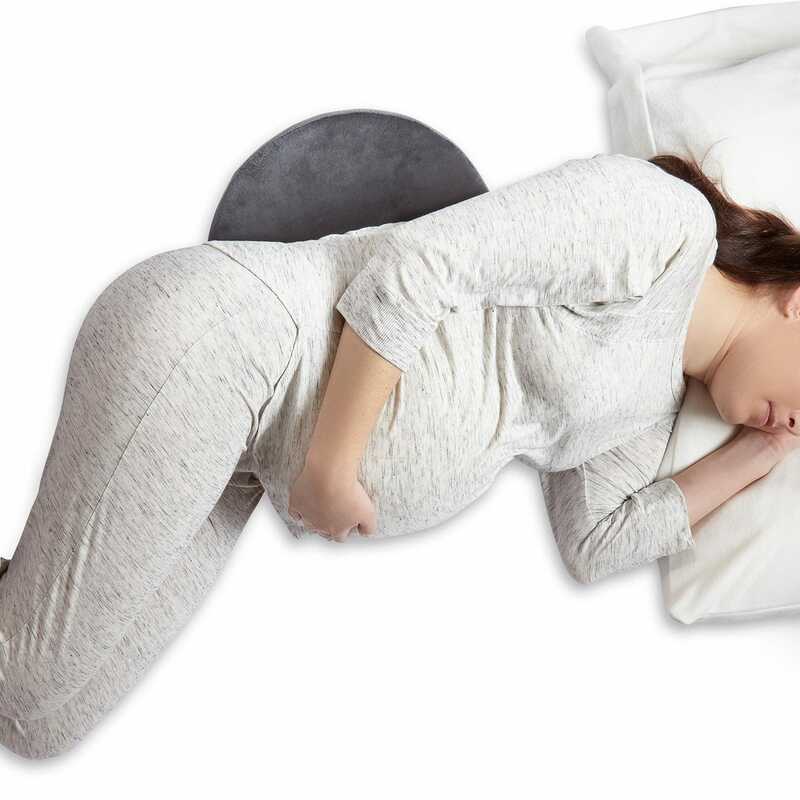 Many women start to feel the need of using the pregnancy pillow when they are second or third trimester of pregnancy, but as a rule of thumb, you should start using the pillow when you notice that you get comfortable at night, or can’t sleep because of your bump or any type of pain associated with pregnancy. Do I need to place it on top of a regular pillow? It is not necessary to place a pregnancy pillow on top of your regular pillow, especially if you use a full body pregnancy pillow. Does it take long to “break-in”? Even though a pregnancy pillow should mold to fit the curves of your body, this happens very quickly, and as such, it may only take a couple of hours for the pillow to take the contour of your body. There is a lot to consider when shopping for the best pregnancy pillow, as every woman has different needs and requirements to feel comfortable at night, especially in the last trimester of pregnancy. 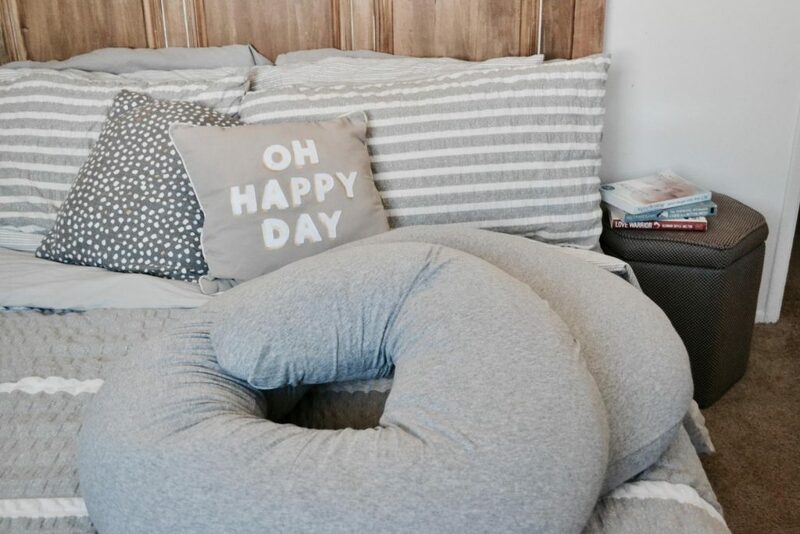 Our editor’s choice, the Onory Full Body Pregnancy Pillow checks most of the boxes expectant mothers might have, offering a high degree of versatility at the same time. If you are looking for a pregnancy pillow that can help you with back pain that may be chronic or something that appeared in your life as a result of the pregnancy, the Dreamland Bedding Full Body Pregnancy Pillow would be an excellent choice. 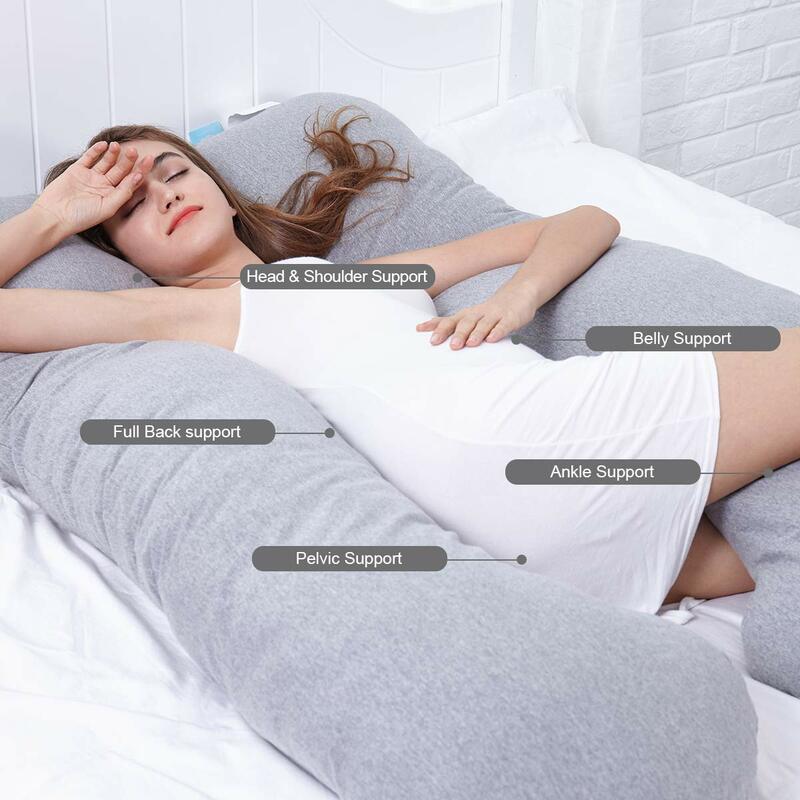 Women who would like a high-quality C-shaped pillow can have a look at the PharMeDoc C-Shaped Pregnancy Pillow, a model that replaces the need for multiple bed pillows and comes with the added advantage of a budget-friendly price tag. No matter which type of pregnancy pillow you choose, make sure it has all the features you need to feel comfortable and well-rested.